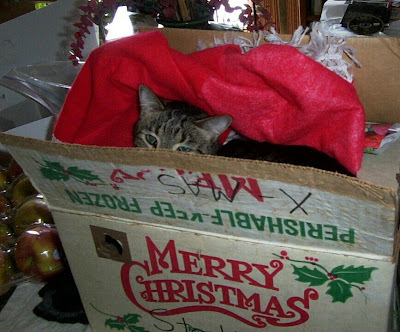 I'm sure Peppermint understands that while napping in the box of decorations is not the best way to help me trim the tree, it is one of the best ways to put a smile on my face. Very cute. 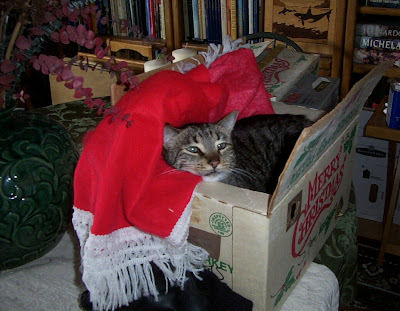 Cats and boxes; always manage to find one another.